Delhi govt. is inviting Mukhyamantri Tirth Yatra Yojana online application form at edistrict.delhigovt.nic.in. Under this free tirath yatra scheme, the state govt. will provide free pilgrimage visits to 77,000 senior citizens in the state. 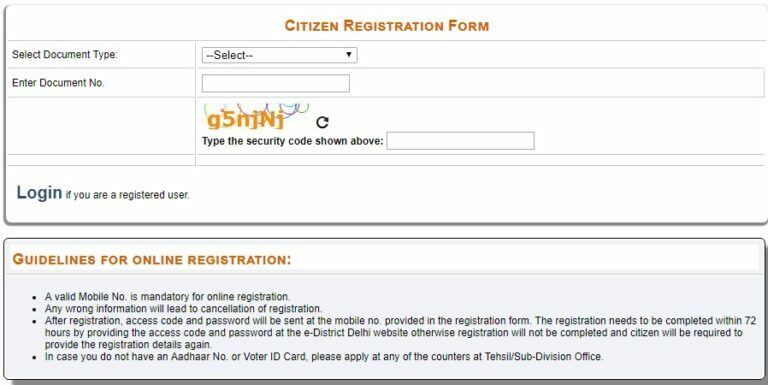 Delhi Mukhyamantri Teerth Yatra Yojana online registration form filling process starts on 5 December 2018. Delhi Free Tirth Yatra online application form can be filled through e-district portal and anyone must not submit any manual application. For Delhi Free Tirth Yatra Yojana, counters of SDM office, office of Tirth Vikas Samiti and MLA offices would serve as facilitation counters. Interested candidates can now apply online for Senior Citizen Tirth Yatra Scheme 2018-19 at the official website for 1st trip to pilgrims. 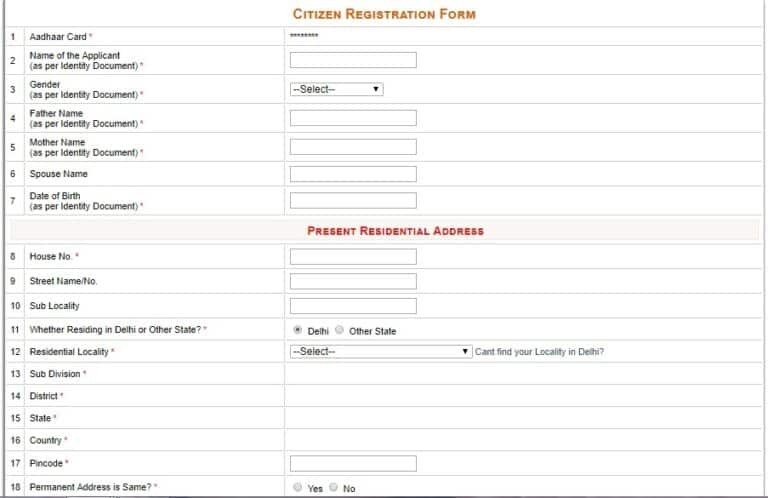 Here candidates can fill the complete details accurately to complete the Senior Citizen Free Teerth Yatra Yojana registration process. After completion of Delhi CM Tirth Yatra Yojana registration process, candidates can login into their accounts and apply for this service. Around 77,000 pilgrims can avail the benefits of Mukhyamantri Teerth Yatra Yojana in Delhi and 1,000 pilgrims from each assembly constituency would be selected. All the selected applicants would also be entitled for an accidental insurance coverage of Rs. 1 lakh. All the applicants must be above the age of 60 years to avail free tirath yatra scheme benefits. Applicants and his / her spouse can only apply for the muft teerth darshan service is they are residents of Delhi. In case the age of applicant/ spouse is above 70 years, then they can take an attendant with them. The age of the attendant must be atleast 20 years. Voter ID card is applicable for applicants / spouse must be of Delhi, attendant can be of Delhi or outside Delhi. In case the applicant / spouse is a central / state govt. employee or local autonomous body employee, then he/ she would not be able to avail the service. Delhi govt. has signed an agreement with IRCTC and the train will start from Safdarjung railway station. The train would be of general category with 15 coaches. Along with the pilgrims, a team of doctors and paramedical staff would also be present. All the senior citizens above the age of 70 years would also get a chance to go along with attendant. Delhi Mukhyamantri Ji, I, Sh. Nagendra Kumar jain from Mayur Vihar Phase-3 has been online applied for Mukhyamantri Teerth Yatra, Route Delhi-Haridwar-Rishikesh-Neelkanth-Delhi. I am 76 years old person but I never get any scheme of sr. citizen. My application No. is 90950000000070. I applied on 16/01/2019 but till now no information I get.